Automobile accidents are our specialty. Cases may involve personal injury, wrongful death, defective products and various matters pertaining to insurance coverage. Any time you are in a automobile accident it is important to contact an attorney early in the process as it is important to preserve evidence and to obtain important legal advice on your rights before talking to insurers, law enforcement officials, investigators, witnesses and others. We handle a variety of legal matters for small and medium sized businesses such as employment matters, legal defense, contract preparation and review; trials, appeals, mediation, arbitration, wrongful discharge lawsuits, employment discrimination matters, products liability, wage and hour disputes and civil rights claims. Civil rights law is one of our specialties. We handle cases involving damage to property, person and reputation as well as matters involving your personal freedom. We handle all phases of both misdemeanor and felony cases in all Montana Courts. Fees can be on an hourly or “flat fee” basis. In some cases, involving the public interest, representation on a pro bono publico (free of charge). We handle both prosecution and defense of cases involving libel, slander and “false light invasion of privacy. We represent both employers and employees in wage and hour claims, workers compensation matters, wrongful discharge and uninsured workplace injuries. Our lawyers are skilled in the area of drafting farm and ranch contracts, partnership agreements and resolving disputes involving real estate, water rights and disputes involving partnerships, corporations and limited liability companies. We have helped our clients obtain millions of dollars of insurance settlements over the years in a wide range of personal injury, automobile, malpractice, civil rights, negligence, life insurance, workers’ compensation and disability insurance, including some of Montana’s largest wrongful death insurance settlements. Our experience includes helping the survivors of fires and explosions investigation causes of fires and explosions and obtain appropriate compensation for personal injury, property damages and death in appropriate cases. In this regard, we have worked with well known forensic fire and other expert witnesses from across the United States, in complex cases involving products liability, cause and origin issues and obtaining client compensation for personal injury, emotional distress, death and property damage including arguments involving the personal and sentimental value of property destroyed in fires cause by negligence and/or defective products. Our lawyers are skilled in creating partnerships, corporations and limited liability companies and are experienced in litigating disputes among partners, shareholders, officers and members of these types of associations. We have helped deserving Montanans obtain millions of dollars in personal injury and wrongful death settlements and verdicts over the past three decades. These cases have included aviation crashes, insurance claims, automobile crashes, complex products liability claims, brain injuries, defective design claims, slip and fall injuries, alcohol related injuries, dangerous drug cases, wrongful death, civil rights violations, catastrophic injuries, burn cases, trucking cases, and cases involving physical and sexual assaults. 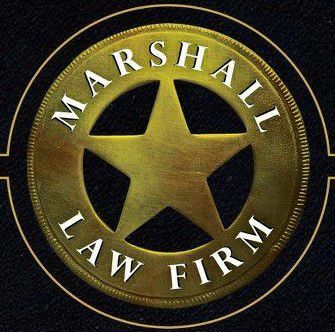 The lawyers of Marshall Law Firm have extensive experience in litigating disputes involving real property, such as easement disputes, environmental contamination and disputes concerning legal access and ownership of real property. We have extensive experience involving real estate contracts, misrepresentation fraud and matters pertaining to construction projects involving real estate, including experience with work place safety matters. We have been involved in settling and litigating a wide variety of cases involving on the job injuries, temporary disability, partial disability, medical expenses, permanent impairment and total disability claims.